A few of the St. Louis companies that the Missouri Technology Corporation has invested in through its IDEA Funds. MTC is facing massive state funding cuts. If you throw a rock in the St. Louis startup ecosystem, you’ll likely hit a company that’s gotten some of its investment funds from the Missouri Technology Corporation. The Missouri General Assembly established the public-private partnership in 1994 to promote entrepreneurism and grow high-tech companies. 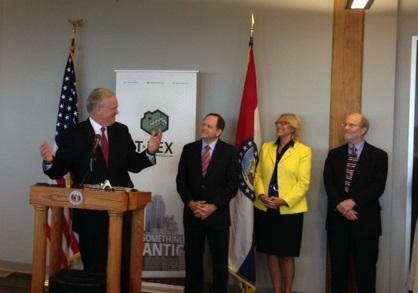 MTC has co-invested about $35 million in nearly 100 startups since 2011, many of them based in St. Louis. That investment may dry up soon. While MTC’s state appropriation this fiscal year was nearly $23 million, Gov. Eric Greitens has proposed slashing it to $5 million for FY18. A House budget bill has cut MTC’s budget further, to just $1 million. St. Louis Public Radio contacted Greitens’ office several times regarding MTC’s budget, but received no response. In public addresses, the Republican governor often speaks of job creation. Last month Greitens attended Microsoft’s announcement that it would bring 150 jobs to St. Louis’ innovation district Cortex. Those in the startup community say they’re perplexed as to why the governor would cut a proven job-generator. MTC’s 98 portfolio companies have attracted more than $400 million in private investment. Crisp, who is based in North Carolina, said MTC’s initial $175,000 investment led the biotech company to put the bulk of its operations in St. Louis in 2013. Benson Hill currently has 46 employees in St. Louis and plans to add more following the recent completion of a $25 million Series B financing round, that included $925,000 from MTC. Dozens of other St. Louis startups have received MTC investments including MediBeacon, Greetabl, Apse, BetterWeekdays, RoverTown, SyMyco and Yurbuds. Many founders say without the early stage funding they received from MTC, it would have been harder to get off the ground. Bonfyre co-founder and CEO Mark Sawyier said MTC was an important part of the startup's seed funding. If MTC no longer made such investments, “I think it would have an extraordinarily negative impact," he said. “MTC being there to match whatever is invested can make the difference between a startup company achieving its funding objectives or not,” Sawyier said. Bonfyre, which provides internal social media platforms to businesses including ExpressScripts and Marriott Hotels, has 33 employees and plans to hire more. 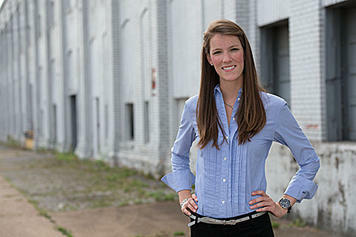 Among MTC’s most notable investments was in LockerDome, the St. Louis-based social media platform launched in 2008. MTC invested $200,000 in the startup in 2012, then sold its stake for more than double the initial investment a year later. 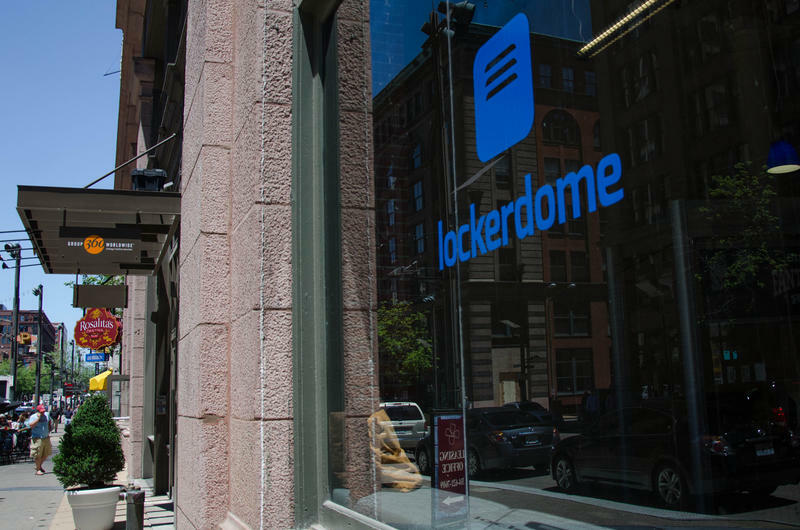 In 2015 LockerDome said it would add more than 300 employees by 2020. While MTC invests directly in startups, the non-profit also provides funding to organizations that support entrepreneurs. That includes Brazen, previously known as the Prosper Institute, an organization that works with women entrepreneurs; BioGenerator, which invests in and advises biotech companies; and Arch Grants, a non-profit organization that makes non-equity investments to attract startups to St. Louis. Per capita spending on entrepreneurial programs, according to the Council for Community and Economic Research, State Economic Development Program Expenditures Database. Arch Grants Interim Executive Director Ben Burke said MTC provided $500,000 to the organization the last two years. “Looking forward, we are optimistic that the state of Missouri will see the economic benefits of supporting innovation through the mechanism of MTC, but as an organization we are simultaneously planning our operations to be sustainable without that funding,” he said. At Brazen, founder and CEO Jennifer Ehlen said they received funds in 2015 and 2016 to expand their programs across Missouri. While Brazen has worked to diversify its funding, Ehlen said there would be an impact. “At a minimum, it will slow our efforts to expand our programs to serve women entrepreneurs in some of the rural areas across the state of Missouri, which was a real dream of mine,” she wrote in an email. That collection of support organizations is something entrepreneurs cite as an important reason they chose to stay in St. Louis. At Accelerate St. Louis, the startup arm of the St. Louis Regional Chamber, program manager Sarah Arnosky worries what will happen if MTC funding for entrepreneurial support groups evaporates. “MTC funding is really a catalyst that helps additional funding come in to support, not only the startups, but also the infrastructure needed to grow,” she said. A year ago, the St. Louis Regional Chamber was pushing state legislators to add another $15 million to the state’s budget for MTC, on top of the then $18 million appropriation. The General Assembly provided another $5 million. Now Arnosky said Chamber officials are trying to keep legislators from zeroing out funding, at a time when many surrounding states are increasing revenues for entrepreneurial programs. She pointed to Indiana, where legislators have committed $1 billion over 10 years. “If Missouri takes away MTC funding it sends a message that maybe we don’t care as much about entrepreneurs, and startups will start growing in other parts of the country,” she said. And that, she said, will make it much harder to grow the next ExpressScripts or Centene. The St. Louis business incubator founded to attract and keep entrepreneurs in the region seems to be delivering on its premise. The majority of Arch Grant recipients are staying in St. Louis after the year-long requirement that is a condition of the $50,000 grant.